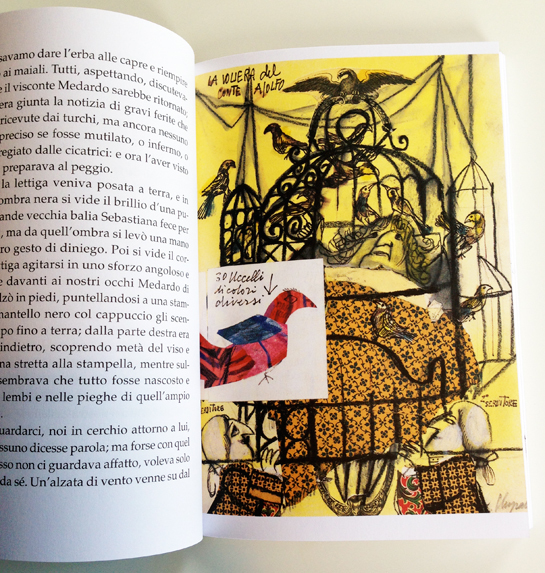 Above: Spread illustrated by Emanuele Luzzati from Italo Calvino’s: Il visconte dimezzato. I recently went back to Italy, almost ten years after I had left it. That’s a long story I won’t bore you with now, but one of the things I missed most was browsing in European book stores. Books feel more beautiful over there, the thick paper (often textured), well-illustrated covers of every kind of book (no photos from movies that came after the books), and many different sizes and shapes of paperback novels. Every book is begging for you to touch it and flip through it, which is probably why they often come sealed in plastic wrap, with just one copy unwrapped in front for me to play with. 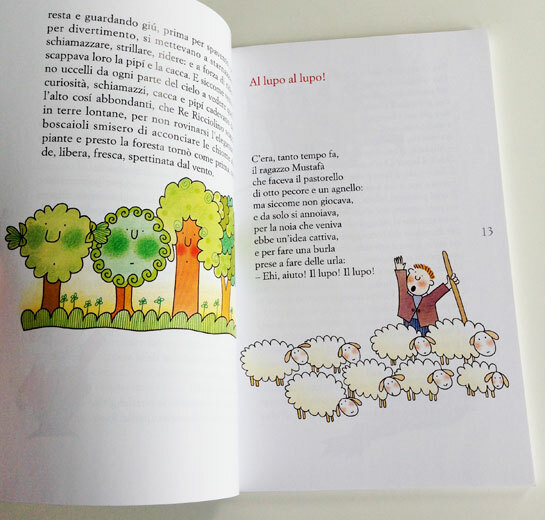 I was on the hunt for children’s books by Italian authors illustrated by Italians. Something I noticed in the children’s book section was that there were few picture books but many shelves of chapter books (of all reading levels) with lush illustrations. I have theories on why this is: with all its idiosyncrasies, English takes much longer to form than Italian; that fact plus a mix of cultural and publishing practices provide for some pretty great chapter book options. I love how many illustrations are included in these books, how the texts melds with them, that they are in color and often harbor glorious full page spreads. At a delicious dinner at our friends’ home, I was lucky enough to spend some time with Sofia, a very bright 9 year old who patiently showed me all her books from when she was young to what she is currently reading. She answered all my questions and introduced me to several books I didn’t know, including ones by the author Roberto Piumini. 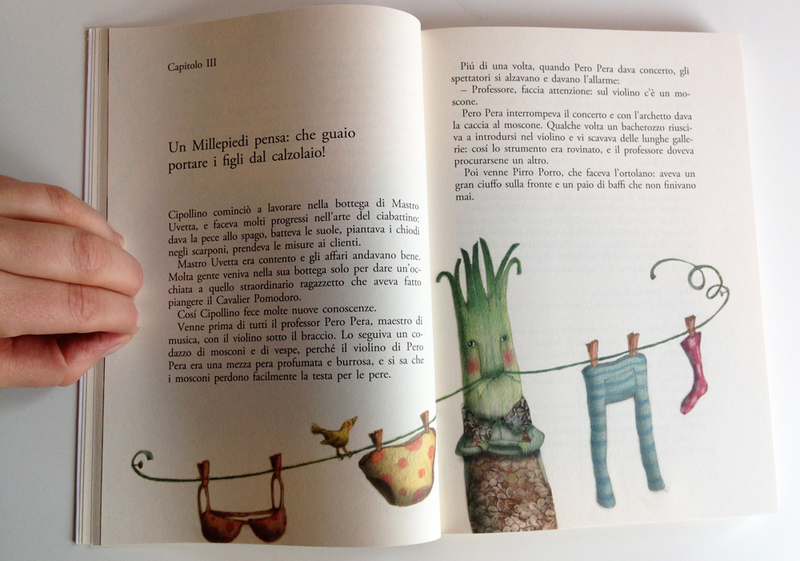 C’era una volta, ascolta is a lovely collection of stories by Mr. Piumini, illustrated by Nicoletta Costa. I love the texture she creates with her patterns and the humor Ms. Costa conveys. Next up is a great among children’s writers, Gianni Rodari (and here), he won the Hans Christian Anderson Award for his incredibly imaginitive books for children. 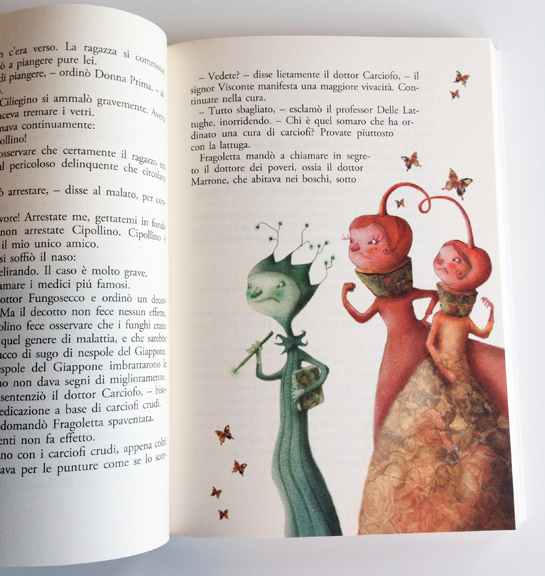 Le avventurre di cipollino is illustrated by Manuela Santini. Her illustrations blew me away. They are so soft and strange and seem like they are part of the paper fibers rather than printed on them. Her figures are without edges, which makes them hard to photograph and they seem to move along the pages. Enjoy! Lastly, a book by Italo Calvino, renowned author of short stories and novels. 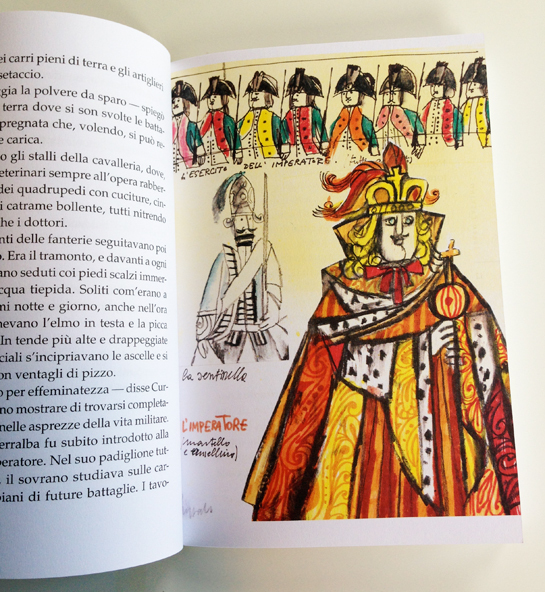 His Il visconte dimezzato was illustrated by the artist Emanuele Luzzati (and here). I could stare at these artful rich colored illustrations all day. 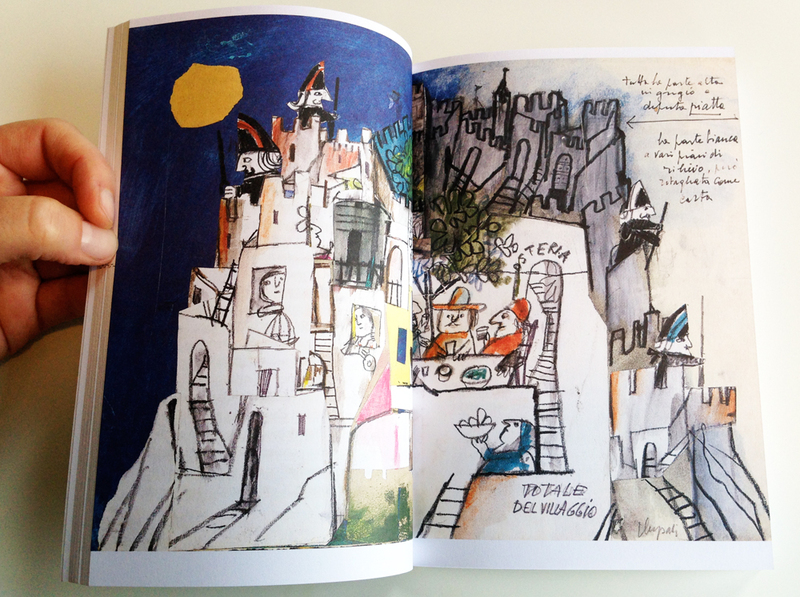 I love the thick lines, bold colors and his written descriptions throughout the drawings. Do you have any Italian favorites? Let us know in the comments! 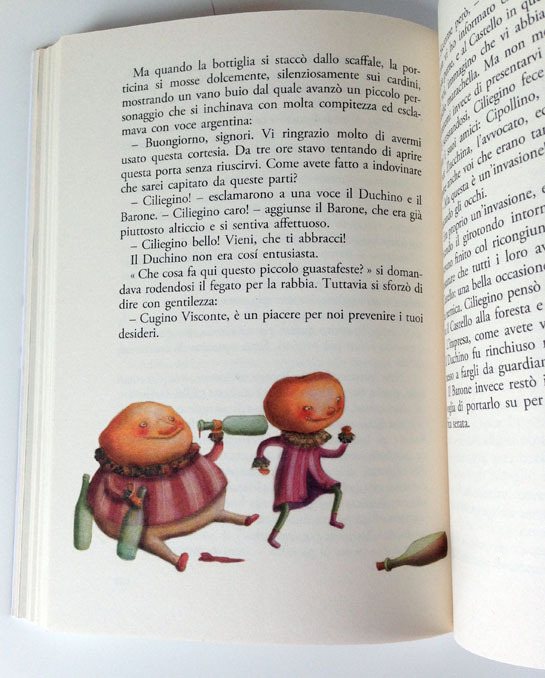 Sneak peek: Francesco Tullio Altan is an Italian author/illustrator who has influenced me enormously. Separate post on him to come. 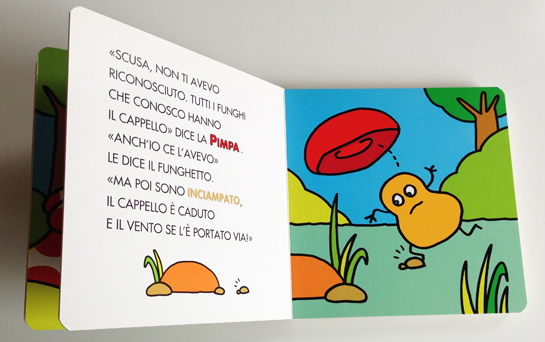 In the meantime, I’ll leave you with this image from Altan’s board book: Pimpa e il fungo sognatore (Pimpa and the daydreaming mushroom). As you can see, the mushroom loses his cap! Topipittori has a well-established and ambitious stable at the moment; Beatrice Alemagna and Simone Rea immediately come to mind. 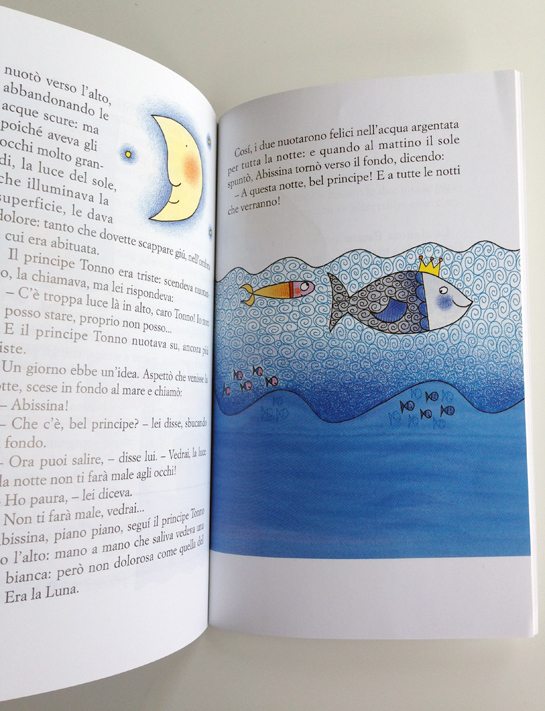 Of course Bruno Munari… The field of picture books in Italy seems quite passionate now. Thanks, Rob! I have a beautiful Bruno Munari book. I can’t wait to check out the others. Sounds like I’ll need to do a follow up post. Well, you could probably devote an entire blog to the subject! Happy times! 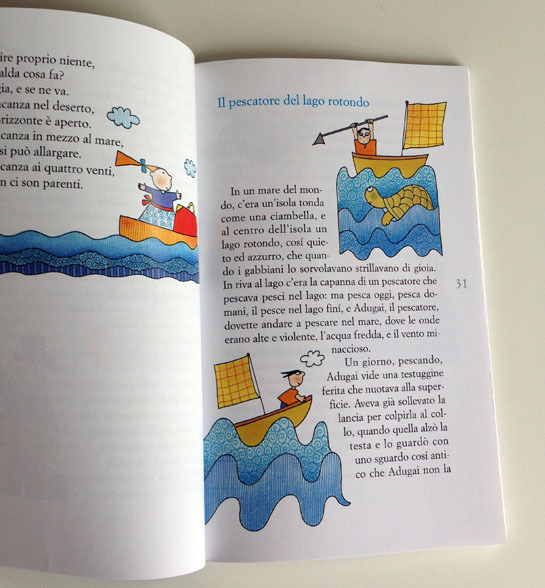 I was in Verona this summer and absolutely loved the bookstore in town… You are right, the children’s books in Italy are magical. Thanks for the fun post! What a wonderful post! 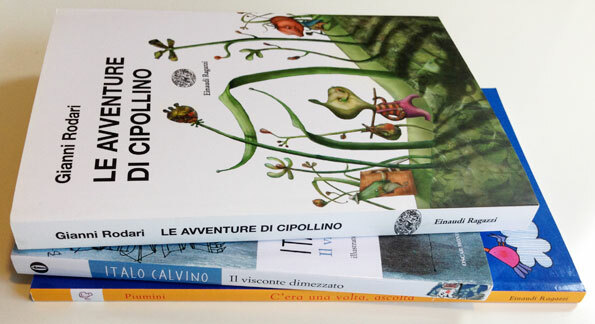 I didn’t know Italo Calvino wrote children’s books. 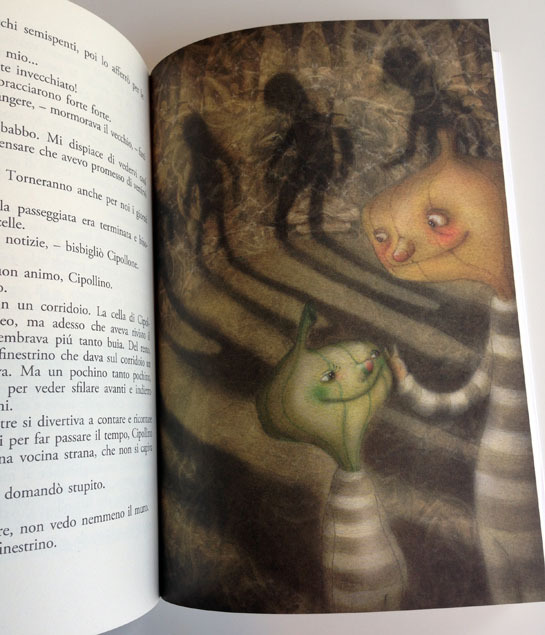 I adored “If on a winter’s night a traveler.” I also love the illustrations by Fabian Negrin! Thanks, Alina! I’ll check out Fabian Negrin’s illustrations.